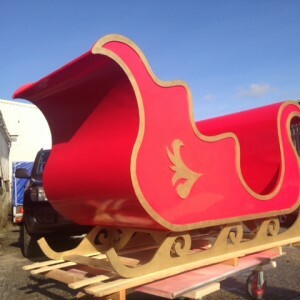 This entry was posted in Blog and tagged Christmas party EVENT made in Cornwall Made in UK magical PROP Santa's grotto Santa's sleigh sleigh SPARKLE STATEMENT PIECE UK Winter wonderland on July 6, 2018 by Lucy R.
For some it may seem odd to think about Christmas in this hot July 2018! 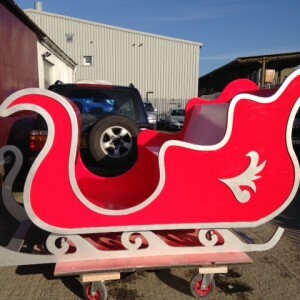 However, when planning a spectacular Christmas event which promises to be magical it is never to early to plan ahead! 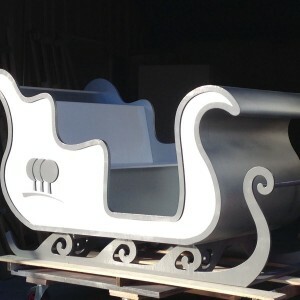 How do we create it? 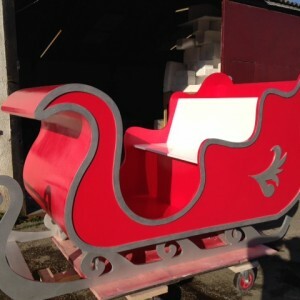 We use our CNC router to cut out the sections with precision from exterior ply wood, then we construct it by hand. 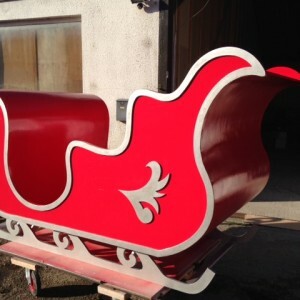 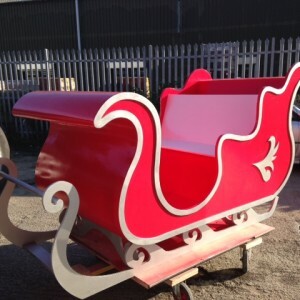 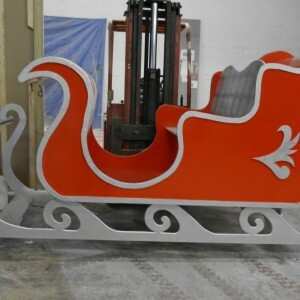 Once Santa’s sleigh is constructed, we use primer followed by spray paints with our clients choice of colours using high quality paints that last, which enables the finishing touches to be custom. 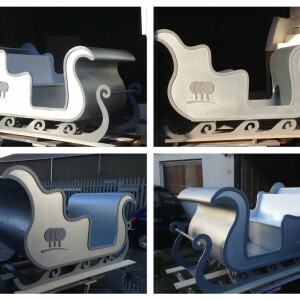 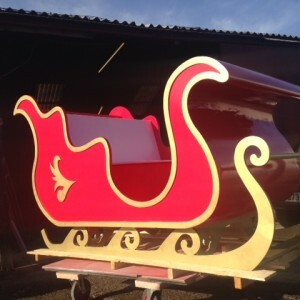 Enjoy some images of our Santa’s sleigh projects!